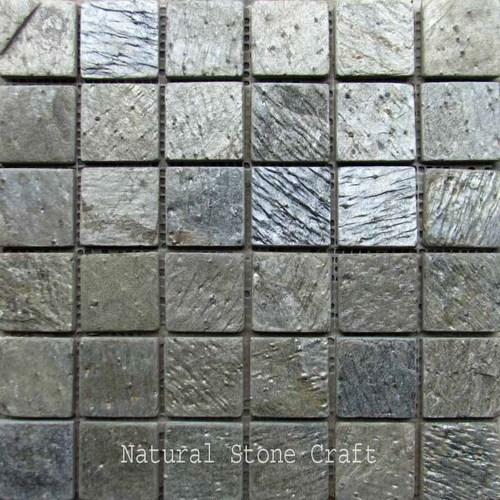 Natural stone slate tile have a natural quality to enhance the attraction of any building, like home, hotel, restaurant, villa, hospital so on. Along with increasing the strength of wall , green slate tile, green slate, slate stone, wall slate, natural stone slate tile, slate kitchen tiles, slate bathroom tile, and slate outdoor tile also provide the charming looks for walls. Natural Stone Craft, established in 2013, have evolved as a leading Wall Tiles manufacturer, wholesaler and retailer in the marketplace. Suiting to the different needs of the tiles, our products include Wall Cladding Tiles, Stacked Stone Wall Tiles and Slate Tiles. Available in various colors, designs, sizes, patterns, wall tiles are widely used and demanded to enhance the decor and ambiance. We take pride for offering high-quality products; customer oriented sampling policy, timely delivery at very affordable prices. This approach has earned us an unparalleled niche in the market place. During the past years, Stones & Stones have gained immense experience of working with diverse clients and muster a large client-base in the competitive market.